As we sat in our offices in Trondheim staring off at the fjord -- we're Norwegians, that's what we do -- a thought occurred to us: wouldn't it be nice to make Google News accessible to readers on their iPod Touch or iPhone? The rest, as they say, is history. 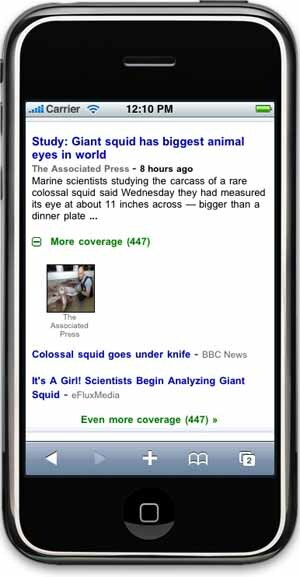 Today, we're happy to announce that Google News is now available to iPhone and iPod Touch users in over 30 countries. This means that you'll see a full-fledged version of Google News on these devices, improved Google News results and, where available, relevant YouTube videos embedded with news stories. We hope you enjoy this new feature. We haven't been able to take our eyes off it yet, not even to look at the fjord!